(Ocala, Florida, July 9, 2013). 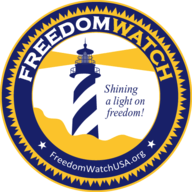 Today, Larry Klayman, a former federal prosecutor and founder of Judicial Watch and Freedom Watch, and the Citizens' Prosecutor for an Ocala, Florida Citizens' Grand Jury, delivered Florida Governor Rick Scott a letter demanding the criminal prosecution of State's Attorney Angela Corey. See www.citizensgrandjury.com. Corey was the prosecutor who issued a sworn arrest warrant and criminal complaint that resulted in criminal charges against George Zimmerman. In swearing out the arrest warrant and criminal complaint, Corey is alleged to have omitted material exculpatory facts, such as photographs of the wounds on George Zimmerman's head, which go to his defense of "self defense." Various legal commentators, including Harvard Law Professor Alan Dershowitz, have called Corey's omissions unethical and criminal in their own right, as she apparently rushed to charge Zimmerman based on her then campaign for reelection and concomitant pressure by black activists such as Revs. Al Sharpton and Jesse Jackson. On June 25, 2013, Corey was indicted by a Citizens' Grand Jury sitting in Ocala, Florida, for these criminal acts. 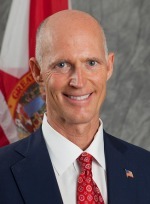 Klayman's letter to Governor Scott asks for an expeditious meeting with Scott in Tallahassee to discuss having state law enforcement authorities "enforce" this indictment, by arraigning Corey and trying her for violating her oath of office. Stated Klayman, "As set forth in the letter to Governor Scott, citizens' grand juries are recognized under U.S. law and it is the right of the people to gather together to mete out justice when politicized law enforcement authorities fail to act. In this instance, Corey obviously would not be indicted and tried by her own office; so the people of Florida had to act on their own initiative. In the course of the Zimmerman trial, it has become even more obvious that Corey perverted the rule of law to further her own reelection campaign by bowing to the will of black activists. She must be held accountable for her criminal acts to preserve the integrity of the Florida justice system and to send a message to other prosecutors not to put their own interests ahead of the people they are supposed to represent." gmail.com or (424) 274-2579. See www.citizensgrandjury.com.